If you’re a homebody like I am, the idea of attending Halloween parties probably gives you heart palpitations. I love Halloween, but I’m not much of a partier. So it was to the surprise of no one that Zach and I managed to drag a few people off to a corner away from the partiers so we could play some horror-themed board games. After a month of playing different horror games for Halloween, I’ve comprised a list of all my favorites. Check it out! I’ve put these together because they’re similar games. 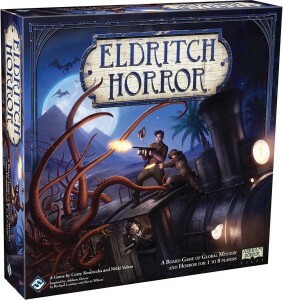 I actually prefer Arkham Horror because it feels more thematic than Eldritch, since it takes play in the fictional city of Arkham. Eldritch, on the other hand, is a world map. If you’re into the horror universe created by HP Lovecraft, these are definitely games you should check out. 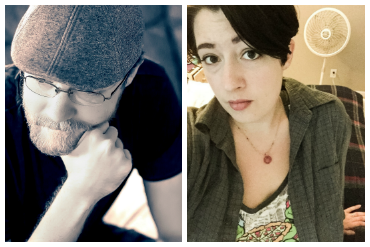 They’re both cooperative, you against the Elder Gods. The general idea is that if the Elder God wakes up, he’ll destroy humanity, so you’re running around the map trying to close down gates and make sure they remain asleep. You can win by either keeping gates from re-opening, or by defeating the Elder God after he wakes up (which is much harder). Both games play 1-8 players, though 3-4 seems to be the sweet spot. These are also grouped together because they’re the same game, but with different themes. 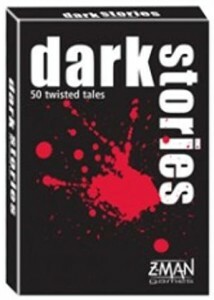 Mythos Tales is, once again, set in the city of Arkham and based off the horror short stories of HP Lovecraft. 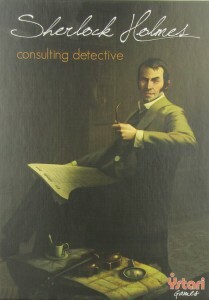 Sherlock Holmes is–can you guess?–based off the stories by Arthur Conan Doyle. With both games, you’re given a book of cases, a map, a Directory, and some fake newspapers. Your goal is to solve each mystery and then answer questions based on the case. For every correct answer, you receive a point. For every location you went to beyond a certain number, you lose points. In Mythos Tales, you also have a time limit and the time of day you go to a certain location will dictate what information you become privy to. 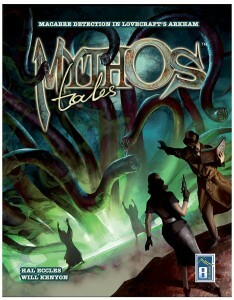 I find that Mythos Tales is more horrifying and more forgiving than Sherlock Holmes. Each game also has some issues with typos and missing information. Sherlock Holmes, in particular, is missing important locations in a certain case that keeps you from being able to solve it at all. However, they’re both fun games that can support a ton of people. OR you can play them by yourself. Sherlock Holmes also has a Jack the Ripper expansion. Speaking of which…. This is one of my favorite games, period. 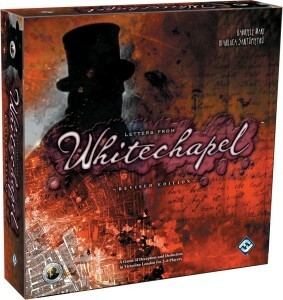 In Letters from Whitechapel, you have one person playing Jack the Ripper and at least one other person is playing a police officer who is trying to find Jack the Ripper. It’s a hidden movement game, where Jack kills a Lady of the Night and then you have to figure out where he goes to either arrest him or find his hideout. If Jack manages to make it to his hideout on day 4, the police lose. If the police manage to arrest Jack or find and surround Jack’s hideout, Jack loses. 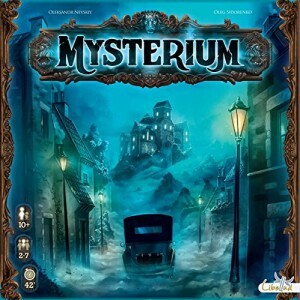 It’s all about deduction and teamwork, and it’s a fantastic game. 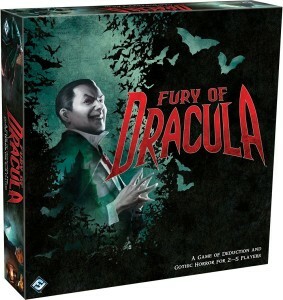 Fury of Dracula is listed here, as well, because the games are very similar. 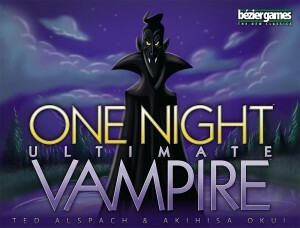 The biggest difference is that, to defeat Dracula, you have to fight and kill him. And he can find an attack you at night. So along with trying to figure out where Dracula is, you also need to collect weapons and other items that will help you defeat him. I’ve done a review of Gloom on this site before, so I’ll keep it short. 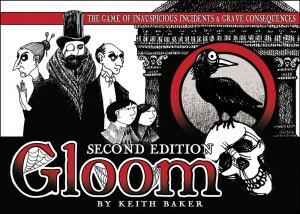 Gloom is a gothic card game, where you control a family. The idea is that the more miserable you are in life, the happier the afterlife will be. So you have to make terrible things happen to your family so you can kill them off. The game ends when a person’s entire family dies. The challenging part of Gloom is the storytelling. Coming up with a unique, interesting story every time is more difficult than you would think. The card help a lot (you can only do so much when your cards are so specific on how a person was injured or killed), but it’s definitely one I don’t want to play if I’m not feeling creative. However, if you know someone who is good at making up ludicrous, entertaining stories on the spot, this is a game you should play with them. This is a game that starts out cooperative until the betrayer gets revealed (and even the betrayer doesn’t know who they are until then). Each room is a surprise, because you don’t know what room you’ll enter, or what will happen there, until you enter it. You may meet a friendly pet, find a cursed item, or get bit by a bat and become the betrayer. Your job is to figure out the mystery and then escape the house. Out of all the games listed here, this probably my favorite. This is a fully cooperative game, but with different roles. One person plays a ghost who was murdered at a Halloween party. Everyone else plays a psychic who is trying to figure out who killed them, in what room, and with what item. This is basically a superior version of Clue. The game takes place on October 31st, because the ghost can only be contacted once a year. So it’s the perfect game for Halloween. The ghost isn’t allowed to talk, but instead will hand the psychics picture clues (the artwork for this game is amazing) to help them figure out who their killer is. It’s a great game, and it’s different every time. This is yet another game set in the Arkham universe. You explore a mansion to solve a mystery and then you have to fight your way back out of the house. In the 1st edition, it was one person playing the Game Master, controlling the monsters and trying to eliminate the other players. In the 2nd edition, it’s fully cooperative. The game is run by an app that is controlling what the monsters do. 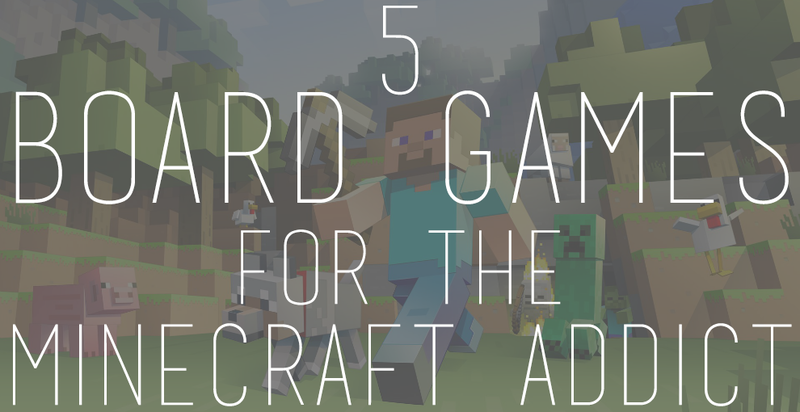 If you enjoy dungeon crawl-type games, this is one to try. This game is great because it’s so small and easy to take on road trips. One person reads the mystery on the front of the card. On the back of the card is the solution. The other players ask the reader “yes” or “no” questions to try and figure out what exactly happened (usually, “How did this person die?”). It’s a lot like Mind Trap but there’s no scoring system. It’s just kind of a free-for-all, great way to pass the time. 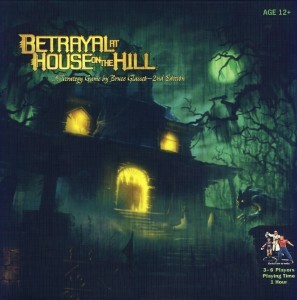 This is another cooperative game, the may or may not have a betrayer mechanic. Long story short, it’s pretty much a simulation of The Walking Dead. 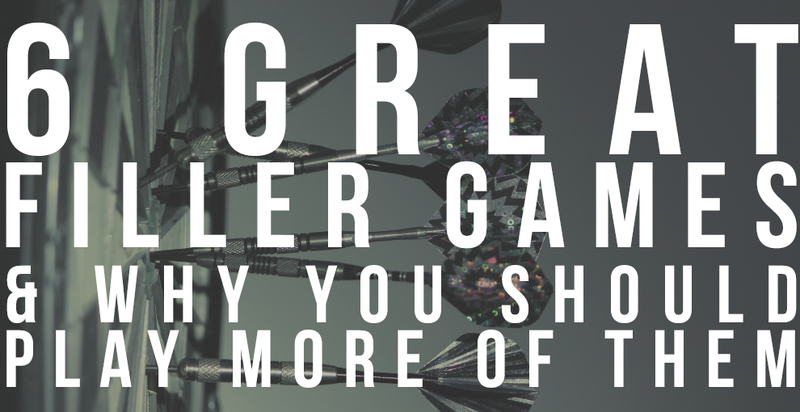 You need to collect supplies, save people, complete goals, and not get eaten by zombies. You pull cards from a deck that sometimes force you to make group decisions that could hurt or help you in the future. It’s a great game, especially if you’re into zombies. And it has a bunch of expansions. 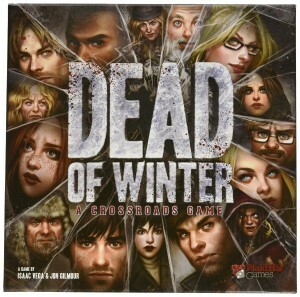 This is a lot like Dead of Winter, but your goal is in front of you. 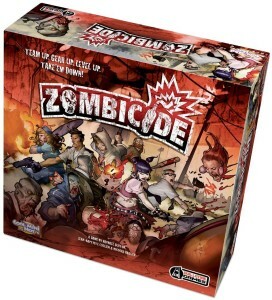 You each play unique characters (like in Dead of Winter) and you’ll use those characters to explore areas, complete goals, and once again, not get eaten by zombies. I’m putting these both here because, even though the idea behind the game is the same, they’re both very different and a lot of fun. It’s been a long time since I’ve played this particular one, because I don’t know anyone who owns it. But it’s a really good time, and I’d recommend it if you’re into the zombie theme. It’s also got some expansions and sequels. 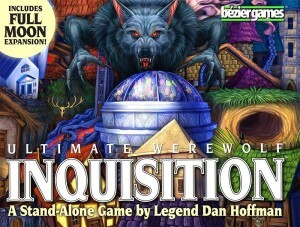 I thought I had reviewed Ultimate Werewolf: Inquisition before, but apparently not. It’s a lot like The Resistance: Avalon (that link goes to a review). Werewolves and villagers are working against each other to kill one another off, but villagers don’t know who the werewolves are and need to figure it out. 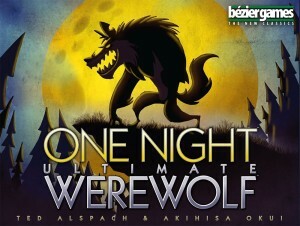 My favorite version of this game is One Night Ultimate Werewolf or One Night Ultimate Vampire. They’re all created by the same company, but play a little differently. You still need to figure out who the werewolves and vampires are. However, you first have to add some chaos to the game by switching characters. Werewolf and Vampire can be mixed together, and they come with an app that tells you exactly what to do. Everyone receives a character card, sees their character, and then they wake up and do whatever the app tells them to when they do it. So they may switch with another person while they’re eyes are closed, they may switch two other characters when they’re eyes are closed. Some characters also have the simple goal of being the one to get killed off (and will pretend to be a werewolf for that reason). Some characters get to look at other character’s cards. But all of this happens while everyone else’s eyes are closed, and then you have to debate, tell each other what you did/saw, and figure out who to kill within about 8 minutes (though you can set the timer to something else. Inquisition, on the other hand, has no time limit and has lasted up to an hour and a half before). It’s a hidden identity game, with some deduction. Someone may seem trustworthy, but then screw up and say something to contradict what they already said. 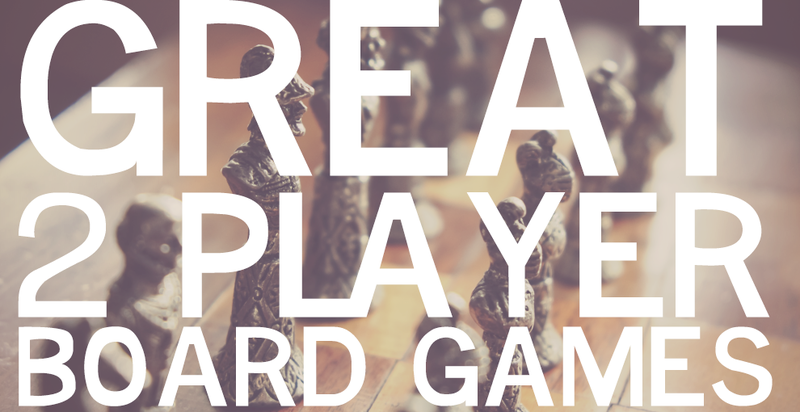 It’s a game that gets loud and often ends with the whole group screaming at each other. It’s a blast. We’ve done a review for this one before, so I’ll keep this short. 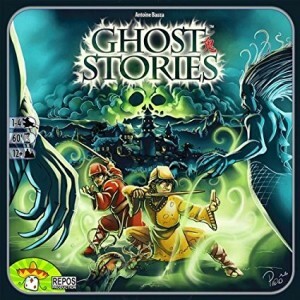 In Ghost Stories, you play monks who are working together to stop ghosts from haunting your town. You have to survive through the deck until you reach the boss ghost, and then defeat it. This is one of the most difficult games to win, because when things get bad, they get worse quickly. 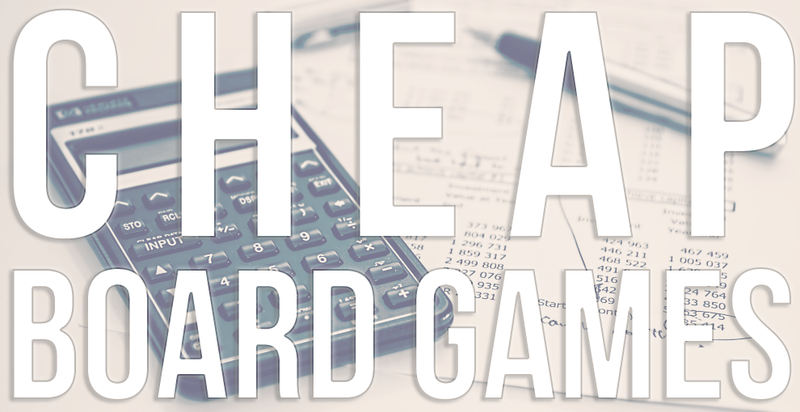 It’s a game where you’re constantly putting out fires and trying to come up with the best strategy for winning. This is a game where we’re mostly happy if we do better than we did the time before, and we don’t put too much stock into winning. Some people recommend Level 7: Escape for a horror theme, but we haven’t tried it. 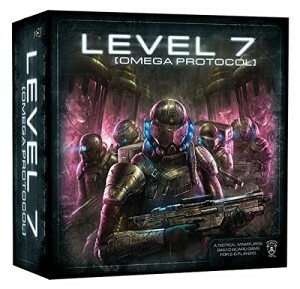 Omega Protocol reminds me of Alien, though, which is pretty cool. 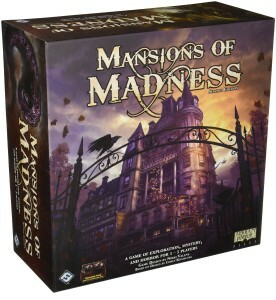 As with a lot of these games, one person is playing the Game Master, controlling the monsters, and trying to kill the other players. Everyone else is playing a member of the military, whose mission it is to kill aliens, explore the area, reach the checkpoint, and then make it out alive. Each person has a different skill set, so it’s important to work together and use your individual skills in the best way possible. 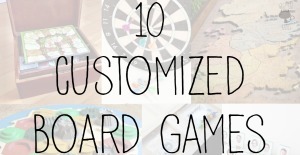 The game comes with different scenarios and ways to set up the board, so each campaign is different. Definitely a cool game. 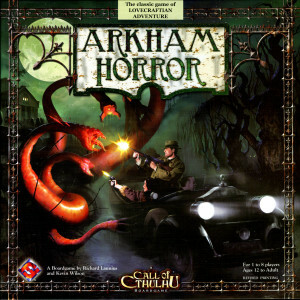 There are a few other games out there that have really cool horror themes, but didn’t make the list because game play was unimpressive. Slaughterville, for instance, has different scenarios for generic monsters based on classic horror movies (like Halloween, Nightmare on Elm Street, Invasion of the Body Snatchers, etc.). 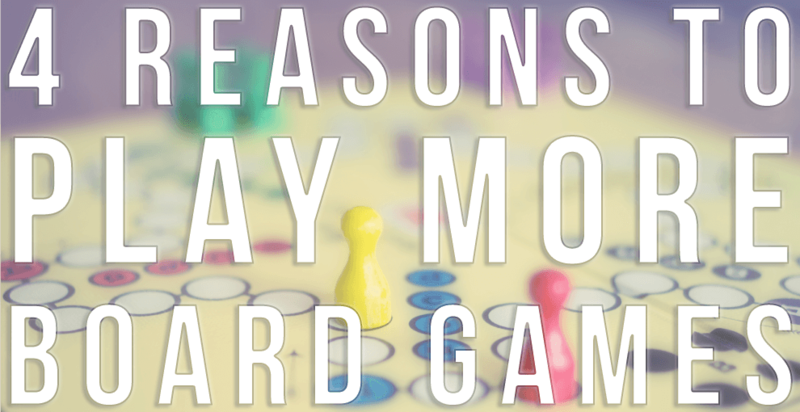 However, the game is very slow and need to be heavily house-ruled in order to be any fun. It’s one situation where making the monsters difficult to beat just makes the game tedious. Which is not something I look for in a board game. If you like the Lovecraftian Arkham universe, there is also a version of Pandemic called Pandemic: Reign of Cthulu. People seem to really like it, but it’s another I haven’t played. 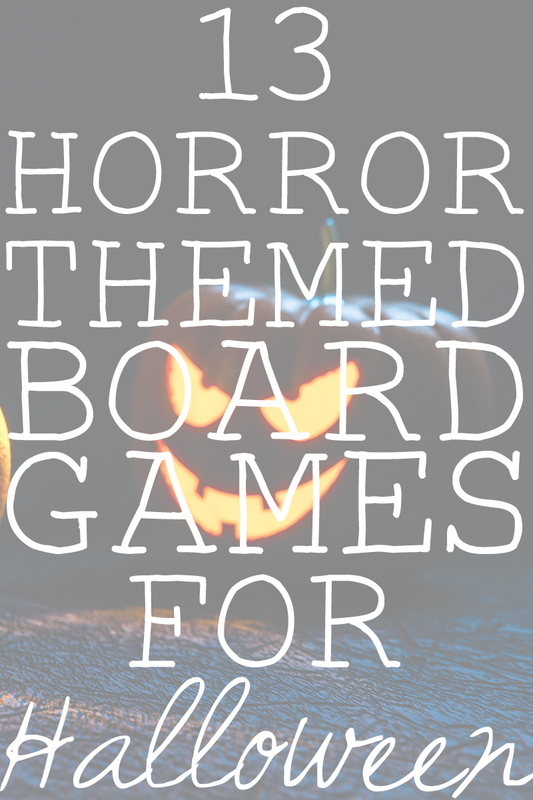 What are your favorite horror board games?